WCAG is an acronym for Web Content Accessibility Guidelines (WCAG). It’s the world’s most widely used set of technical requirements for digital accessibility for people with disabilities. (“Digital” includes web pages, apps, PDF files and other electronic documents as well as multimedia.) Version 2.0 of WCAG has several improvements over the original 1.0 edition: It has broader use in different kinds of new technologies, and it can also be more easily tested to ensure that barriers have been successfully removed. Jurisdictions all around the world refer to WCAG 2.0 in their laws and rulings that compel websites to be made accessible. For example, the refreshed Section 508 of the Rehabilitation Act – a law that covers accessibility of Information and Communication Technology (ICT) used by the federal government – will mention WCAG 2.0 Level AA as the technical requirements that should be followed. The “AA” refers to the level of conformance. WCAG 2.0 has three levels in total: A (minimum, or basic accessibility); AA (which addresses the major, and most common, accessibility issues); and AAA (the highest standard of digital accessibility). Level AAA is not always possible for some kinds of digital content. The World Wide Web Consortium (W3C), the international organization behind the development of WCAG, does not suggest that Level AAA be the requirement in most scenarios. Level AA of WCAG, however, is readily achievable and removes most barriers for most people. This is the conformance level that is most often used in laws that govern digital accessibility and cite WCAG. Local governments that are committed to making their websites, apps and documents accessible to all their citizens should be striving to meet WCAG 2.0 Level AA. Here are four reasons why. 1. Every level of government provides essential services to people with disabilities. Being able to access these services online is highly convenient for many members of the public. People with disabilities have the same right to this convenience as everyone else. Furthermore, some disabilities make it more difficult to take a quick trip by public transit, to speak over the phone, or to fit an extra errand into an already tight schedule. Having the option to go online to register for a program, make a payment or get information makes a huge difference. Thus, it’s not only fair, but also essential, that online services provided to the general public are also made accessible to people who have disabilities. Making it easier for people with disabilities to use services over the Internet is much more cost-effective for a local government, compared to providing those same services by phone or mail. It also reduces paperwork, speeds up collection of revenues, and allows the municipality to engage with a wider range of community members. There are other advantages to an accessible website. A website that complies with WCAG 2.0 is more easily found by search engines. It’s also easier to use by a wider range of people, even those who don’t have disabilities. For instance, an accessible website, with its captioned videos and transcribed audio, is easier to use by a person in a noisy space where they can’t hear. (It’s also beneficial in a quiet space, where the sound is turned off so as not to disturb others!) And accessible websites tend to be more user-friendly for seniors, people unfamiliar with technology, and people using mobile devices. 3. Level A of WCAG is not good enough. When complying with the technical requirements of WCAG, local governments should be adhering to at least Level AA, not A. That’s because although Level A is considered to provide a basic level of accessibility, it can leave major barriers in place. Meeting only Level A requirements would mean that a great many people with disabilities would still be shut out. For example, Level AA of WCAG 2.0 requires captions to be provided with all audio content such as broadcasts, animations and video conferences. When there are captions, someone who cannot hear the audio is still able to understand it. However, if you were only complying with Level A requirements, you would caption certain kinds of audio content but not others. Thus, visitors to the website wouldn’t be able to understand everything unless they were able to hear. Another example is colour contrast. Only Level AA requirements set a minimum contrast between the foreground and background colors, making it easier for someone with a vision disability to perceive the text. If a web page only complies with Level A, the colour contrast can remain very poor, and someone with low vision may not be able to read the words on the page. Conforming to Level AA of WCAG 2.0 means that the most common kinds of barriers are removed. The website will be perceivable, understandable and operable by most people, whether or not they have disabilities. Even though Section 508 of the Rehabilitation Act applies at the federal level of government, many state and local governments are making the decision to comply with Section 508 and its updates (which, of course, means WCAG 2.0 AA). For example, the Minnesota State Accessibility Standard1 includes compliance with both Section 508 and WCAG 2.0 AA (and encourages Level AAA compliance, to boot!). 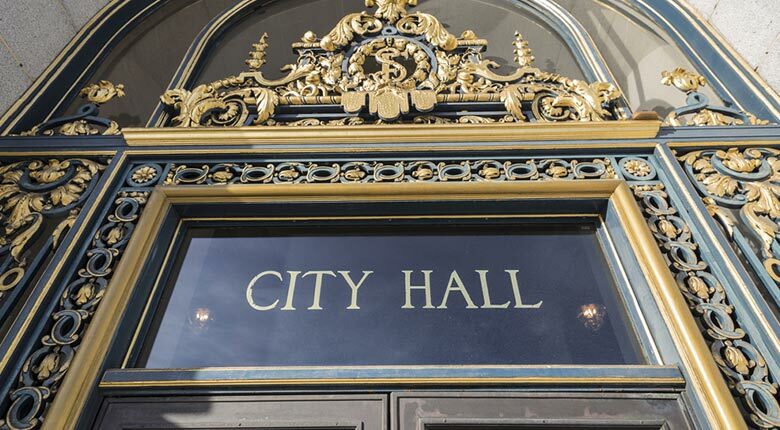 On a local level, the Municipal Housing Authority of the City of Utica2, New York, has made a commitment to removing all barriers to its ICT in accordance with Section 508. Furthermore, the Americans with Disabilities Act (ADA), another law protecting the equal rights of citizens with disabilities, has far broader reach than the Rehab Act. It isn’t restricted to federal entities. In fact, not only does it apply to all levels of government, it also applies to any other organizations serving the public. Under the ADA, people who have disabilities must be able to access your facilities and services just as easily as people without disabilities. This means that if your municipality is offering online services and information, your citizens with disabilities must, under law, be able to use those services and get that information just as quickly and conveniently as everyone else. The simplest solution: Follow WCAG 2.0 AA. Contact an expert firm to find out how quickly and easily your municipality can get its digital properties up to speed. MINNESOTA STATE ACCESSIBILITY STANDARD Minnisota IT Services Policies, 2013. Section 508 Accessibility Statement Utica Municipal Housing Authority.